Sky Ranch is a community located in Palmer in the Matanuska-Susitna Borough. With approximately 44 single family homes, this gated community provides privacy to its residents. 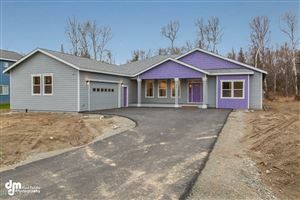 Features include convenient commute to Anchorage, paved streets, a paved airstrip and nearby shopping. Residents can also enjoy spectacular mountain views. Gated community, paved streets, airstrip, nearby shopping. If you are looking for a home for sale in Palmer Sky Ranch ,We have all homes for sale in this area featured on MLS from ALL the Real Estate Companies call/text 9074404661.